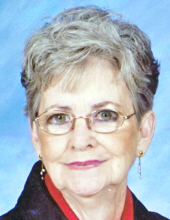 Shirley Schreck, 79, of Vidor, TX died Tuesday, January 29th, 2019 in Vidor. A native of Lufkin, TX she was a longtime resident of Vidor who enjoyed sewing, working with flowers, gardening and coloring in coloring books. She also enjoyed cooking, especially during the holidays and spending quality time with family and friends. Visitation will be Friday, February 1, 2019 beginning at 6:00 p.m. at Memorial Funeral Home of Vidor. A Rosary will be recited at 5:30 p.m. and any friends that want to join the family for the Rosary are welcome to attend. Funeral services will be Saturday, February 2, 2019 at 10:00 a.m. at Memorial Funeral Home with interment to follow at Restlawn Memorial Park. Shirley is survived by 2 daughters; Debbie Brown of Vidor and Angela Jordan and her husband Bret also of Vidor, 1 son; T. Joe Schreck and his wife Teresa of Woodville, TX, 14 grandchildren and 3 great grandchildren. She was preceded in death by her husband; Ted Schreck, 1 son; Jeffrey Schreck and1 son-in-law; Ricky Brown. To send flowers or a remembrance gift to the family of Shirley Schreck, please visit our Tribute Store. "Email Address" would like to share the life celebration of Shirley Schreck. Click on the "link" to go to share a favorite memory or leave a condolence message for the family.